A home plan with unfinished storage space offers square footage for future projects or expansion. If you are looking to build your final house plan, the home you will grow old with, it may be a good idea to leave some unfinished storage space to meet your future needs. You may decide later that you would like a game room or home theater. Or maybe you need to add an additional bedroom for another child or your aging parents. Unfinished storage space designed into your house plan will offer the perfect place for mechanical storage. Youâ€™ll also find it useful for storing outdoor furniture in cooler months, lawn equipment, or camping gear. 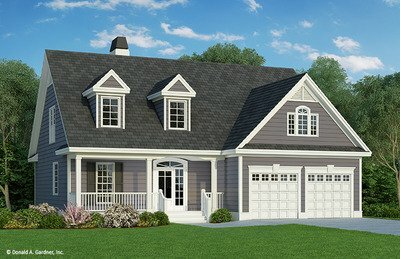 The Ironwood home plan 1331-D is a hillside-walkout design with unfinished storage space on the basement level. Use this space for mechanical or seasonal storage. If needed, living spaces can be expanded to offer more living square footage. The Austin house plan 1409 offers unfinished storage space in the garage. This space is perfect for storing dirty gear that you donâ€™t want to track into the home. For easy clean-up, the utility room is just inside with a sink. Contact us for assistance with finding your dream house plan. Our knowledgeable customer service team can use your criteria to find a home plan to meet your needs. If you need changes to a floor plan, you can submit a modification request for changes.